Kicking off the series of bringing some classic past, present and future hip hop artists to Bali, Old Man's are proud to announce in collaboration with Slingshot Asia, one of the best hip hop crews of all time. 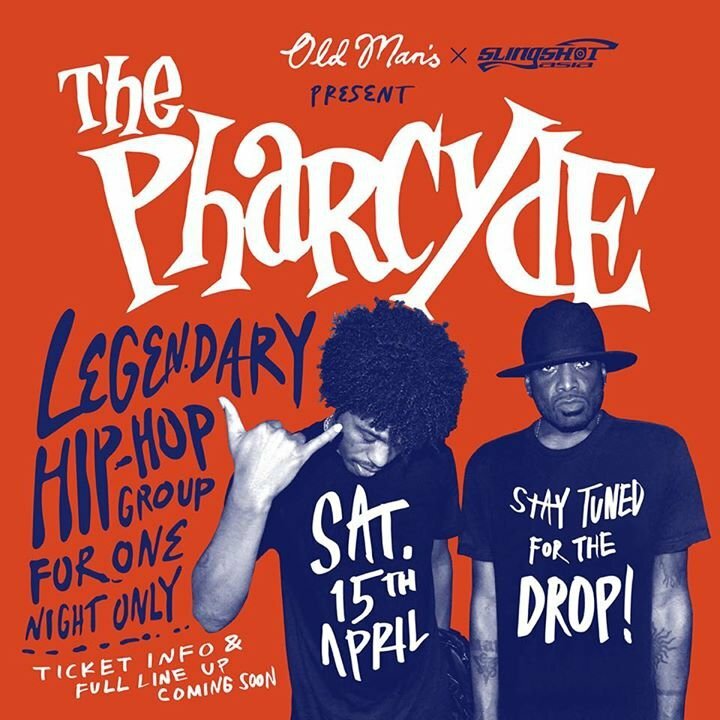 The Pharcyde are coming for a one off show Saturday April 15th so mark your calendars! In the early 90’s, when gangsta rap consumed the airwaves, and the majority of West Coast rappers strapped on their Locs, Chuck Taylor’s & Ben Davis. The Pharcyde decidedly maintained a willfully weird vision. Opting to stay true to themselves with their left field but still South-Central sensibility. Rap had seen few groups so self-deprecating and so smart, four visionary rappers adroitly able to split the difference between helium-voiced and hard-core. Listening to “Bizarre Ride II the Pharcyde” two full decades after its release, its sense of timeliness is unmistakable. Every song on the album inverts a hoary hip-hop cliché. With classics like “Oh Sh#t,” “Otha Fish”, “Ya’ Mama,” and hit single, “Passing Me By,” it is not surprising that it shipped over a million units, garnered comparisons to De La Soul and Tribe Called Quest, and everyone from Pitchfork Media to The Source has hailed it as one of the greatest albums ever made. Speaking on the passage of time, their second release “LabCabinCalifornia” has revealed exactly how far-reaching The Pharcyde’s vision was. From enlisting a young and then unknown James Yancey aka J DILLA aka JAY DEE to produce beats, the classic “Runnin” to collaborating with director Spike Jonze on the video for “Drop,” it has consistently reinforced their steadfast refusal to tread familiar artistic grounds. With more special guests coming soon..
💲150k pre-sale available soon from Old Mans venue and selected outlets around town to be announced shortly. 💲200k on the door if available on the night.